investigate where, when, and at what stage of their lives at sea, our salmon and sea trout are dying. develop the idea of ‘safe corridors’ for migrating salmon along our coasts and at sea. assess the extent of damage to salmon migrations from commercial trawlers’ by-catch and find new ways of reducing it. support and participate in research into effects of marine renewable energy projects on salmon and sea trout migrations. research and promote new forms of sustainable salmon farming. continue to gather evidence to end mixed stocks coastal netting. find new ways of reducing marine mortality from predation and human activities, where effective action is possible. By working with people and governments ‘wherever the salmon swims’ raise awareness of the challenges faced by wild salmon and sea trout. We know that well over 90% of our salmon are dying at sea. By subscribing to the webcam network You are helping our efforts to bring more healthy salmon and sea trout back to our rivers. Be the first to receive our iPhone and Android Apps later this year. Are Ospreys telling us something? 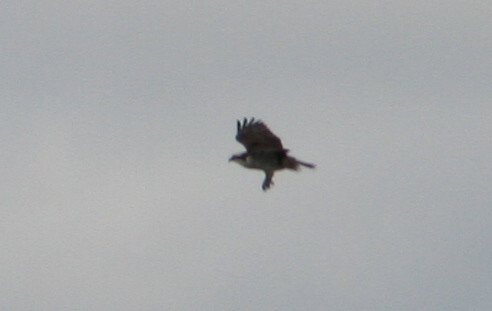 The arrival of ospreys above the South Esk at Finavon may be announcing the arrival of our 2013 sea trout run. I say “may” only because I try to avoid putting a human slant on the behaviour of natural species. But it does seem that healthy ospreys, no doubt feeding their young somewhere nearby, will be looking for food and the arrival of sea trout averaging more than 2lbs seems just too good to miss. 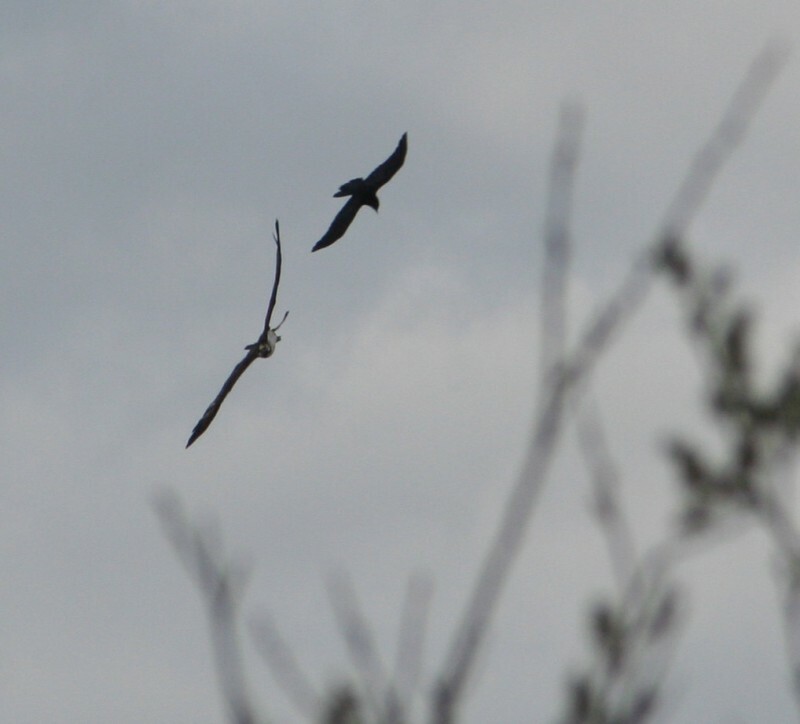 A crow mobbing an osprey at Finavon. 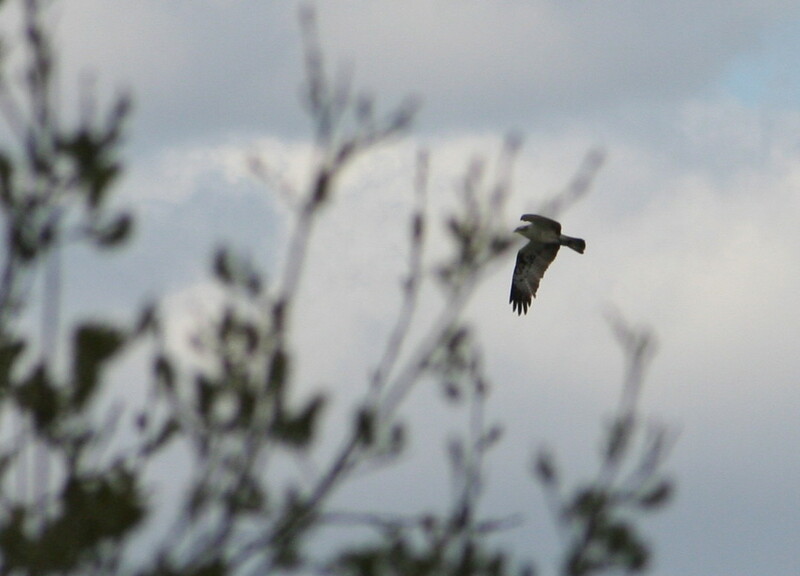 Osprey at Finavon above Indies Pool. 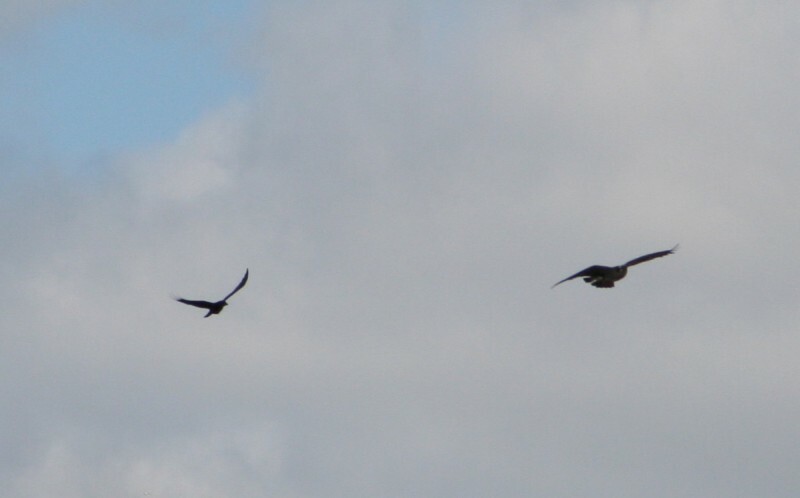 Lousy pictures but lovely birds. Two ospreys at Finavon. The most competent of sea trout fishers! 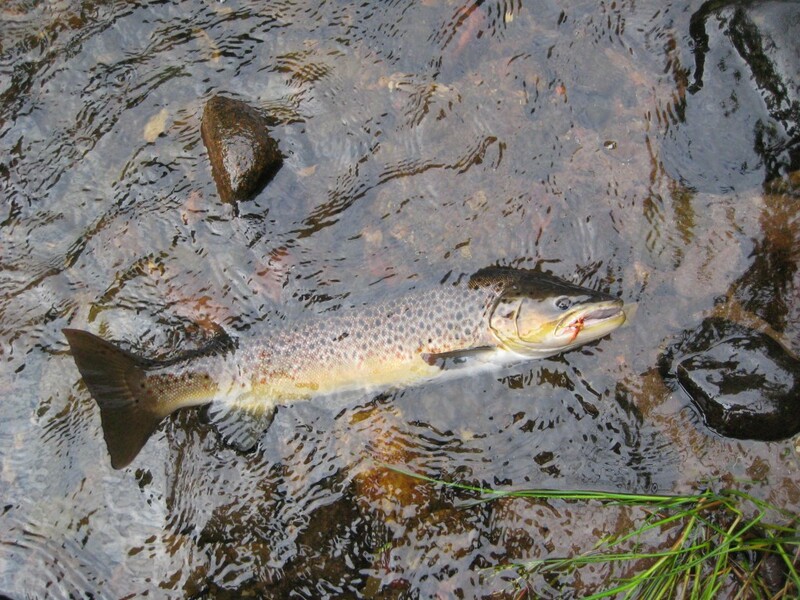 I hope that my next blog may announce our first sea trout of 2013. Malcolm Taylor had a brief contact with a fresh sea trout of about 3lbs earlier in the week, which is the closest anyone has yet got to catching one this season. Posted in Notes and Queries, River Report, Sea Trout | Comments Off on Are Ospreys telling us something?